"I believe that people are the product of their environment. If the spaces we inhabit are designed to enhance our humanity, then it stands to reason that interior design can change the world"
Angela is an impassioned advocate for the powerful influence that interior design can have on people’s lives, whether that is at work, at home or at play. 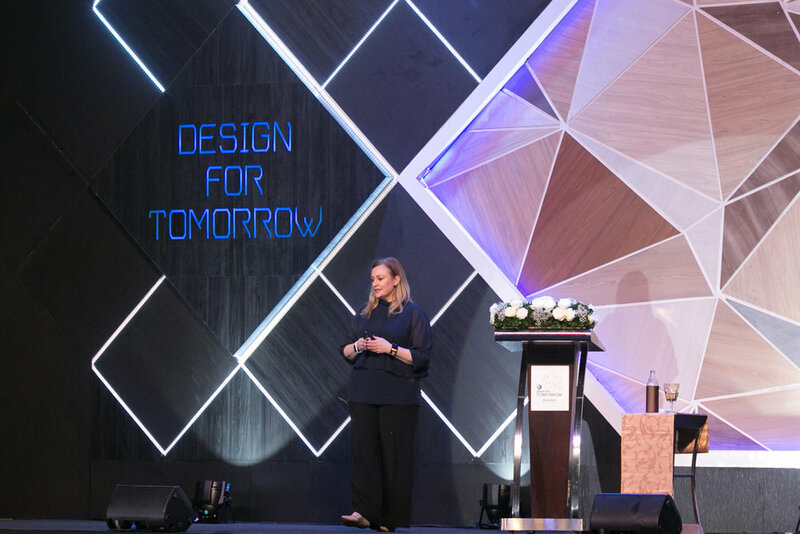 Through her design work, her writing and her speaking, Angela shares her experience of human centred design with a global audience. Angela is a qualified interior designer who has worked for more than twenty years designing residential, educational, recreational, retail and working environments. She is an award winning businesswoman and co-owner of interior architectural practice Futurespace. Her clients include some of the most recognised names in the world such as Google, Qantas, PwC and Volkswagen. Her design work and her writing has been published in print across Australia, Asia and Europe as well as across numerous online publications including The Sydney Morning Herald, The Age, AFR and Huffington Post. Angela is an international keynote speaker and regularly appears live on Sky News TV.